Once used to ward off a vengeful goddess, these Dutch doughnuts are now classic New Year’s treats. Anyone who ever visited the Netherlands in November or December will undoubtedly have seen the large amount of street vendors selling oliebollen. 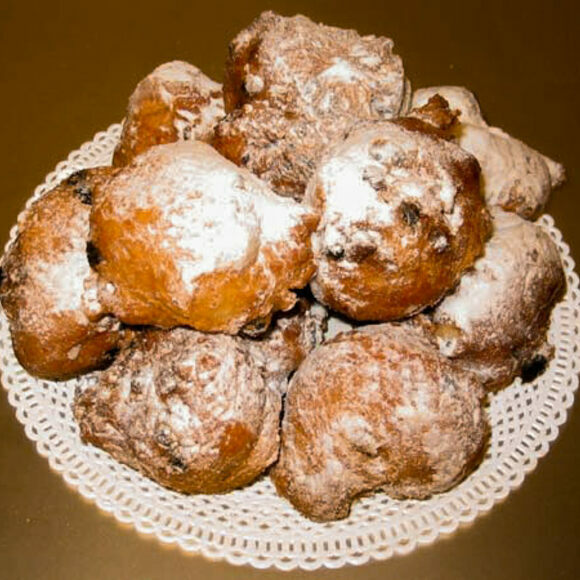 These crispy balls of deep-fried dough are filled with raisins or chocolate and covered in powdered sugar.